Disclaimer: The products in this post were given to me for the purpose of review I was not paid in any way to write this review all opinions are my own. So I have a awesome announcement my hubby has agreed to let me get a dish washer :)!! I know pretty sad I get excited over a dish washer, but I'm sick of hand washing. The point I'm trying to make though is I am now a dish washing newbie. Umm for the record I had no clue how to load it!! I opened that bad boy up and spent the next several minutes trying to figure out how to get everything in. I wont lie I messed it up the first time lol. Then I had to figure out which cycle I wanted to use. Why couldn't there just be one called, "dishes be clean." 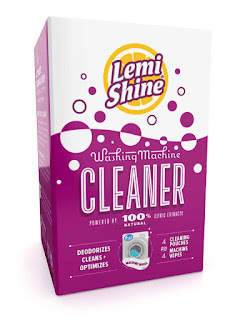 So far I only had the chance to use a few products, but I have already feel in love with Lemi Shine. This is a product my mom uses and she highly recommended it to me, even before I agreed to write this post. I was able to review a few products. Some I already used and a few I have now added to my must have cleaners! 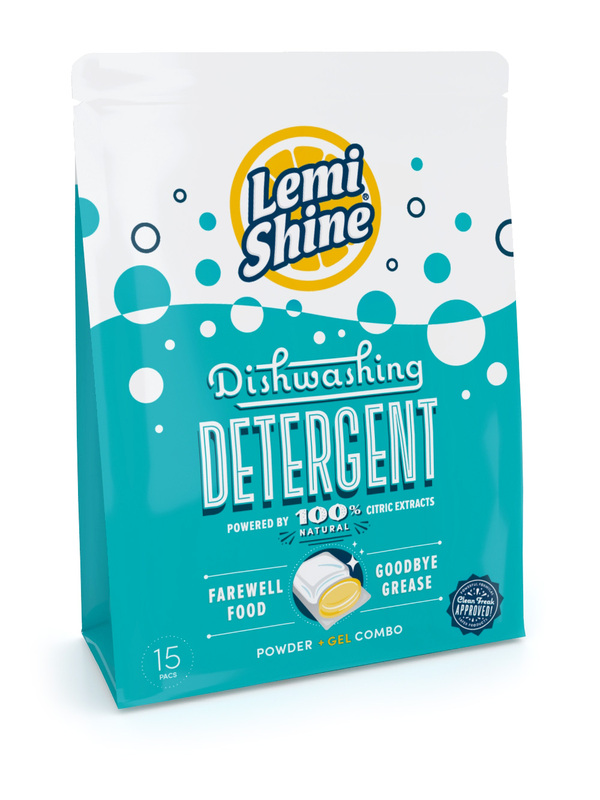 You can be confident in using Lemi Shine Dish Detergent, powered by 100% natural citric extracts. Not only does the powder + gel combo pac look cool, but it increases the power of each ingredient! Say farewell to stuck-on food, and goodbye to grease. A better clean starts with a better cleaner. 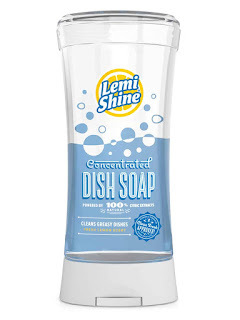 Lemi Shine® Concentrated Liquid Dish Soap with powerful citric extracts cuts right through grease (with long-lasting suds even in hard water), but is safer for your family. 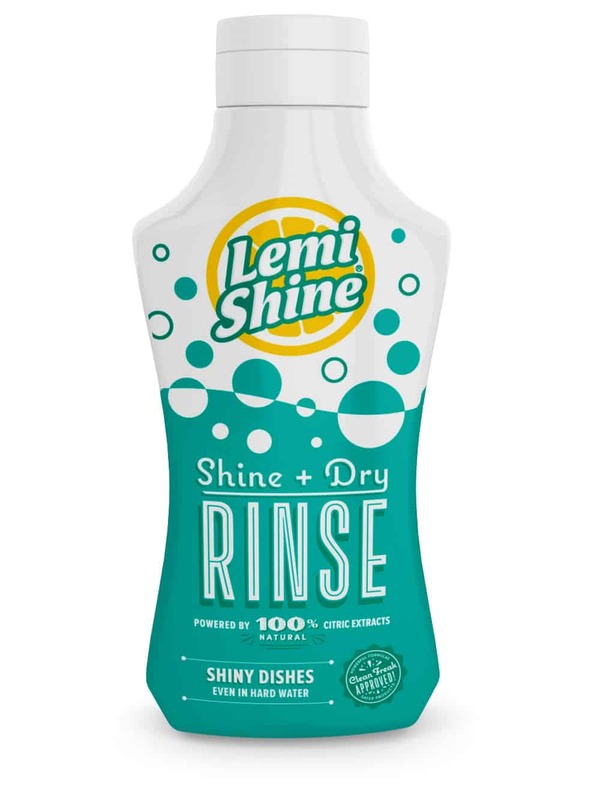 And with Lemi Shine® Dish Soap's READYFLO™ inverted technology, the no-drip valve allows for easy, one-handed use, so you get the most out of every last drop. Just flip the lid, click it back and place inverted on the countertop. 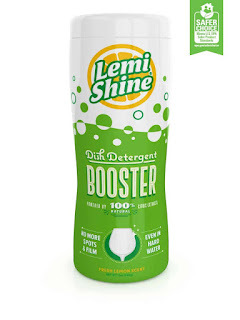 Bring back the shine with Lemi Shine natural rinse aid. Our shine and dry formula is powered by 100% natural citric extracts resulting in naturally shiny dishes. 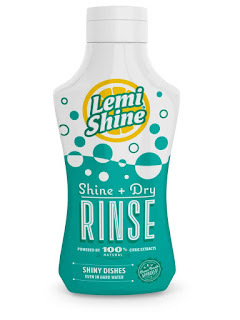 Lemi Shine Rinse removes residual hard water deposits like iron, calcium, lime and rust during the final rinse cycle. Do you want perfect, spotless, streakless, speechless dishes and glassware? Add a natural rinse aid to your dishwashing routine. No need to run the heated dry cycle, which saves energy, money, and time. The #1 Dish Detergent Booster, known best for removing the toughest hard water spots and film, leaving your dishes Clean Freak Clean. More often than not, hard water is the culprit defacing your dishes. 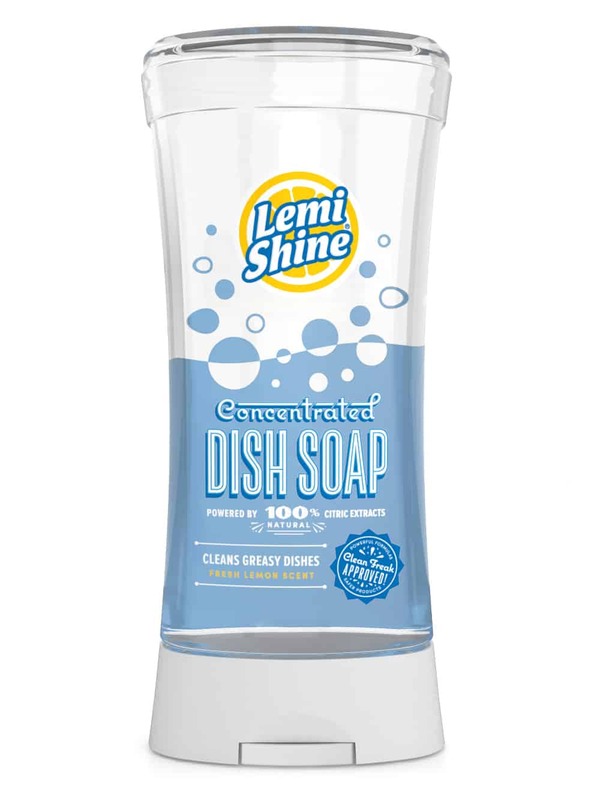 Lemi Shine® fights back against the minerals in hard water (magnesium and calcium) to give you Freaky Clean dishes. Use with your dishwashing detergent in every load. 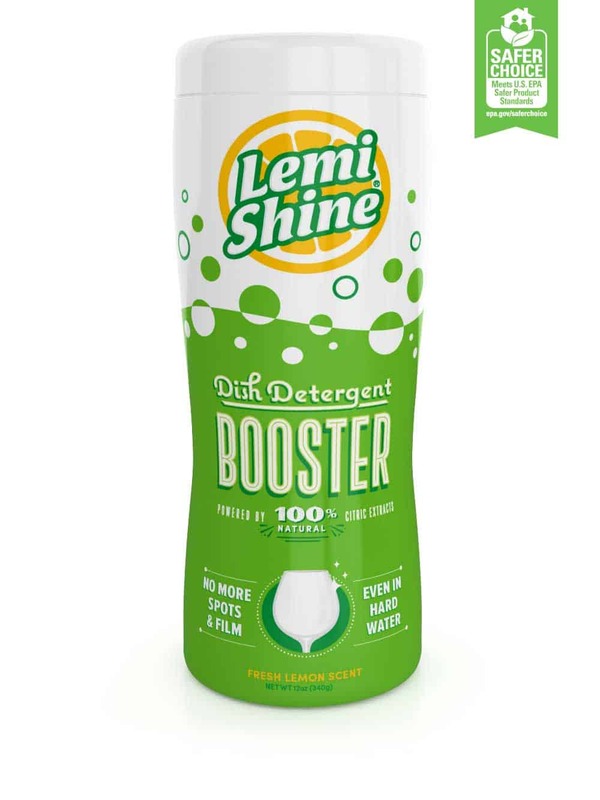 Lemi Shine® Dish Detergent Booster is available in 12oz and 24oz sizes. Also available in easy to use pre-measured pacs! Keep the machine that cleans your clothes, clean! 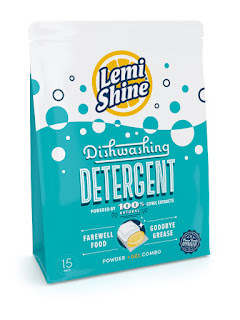 Sit back, relax, and let Lemi Shine do the dirty work. Simply pour contents of pouch into the bottom of your empty washer tub and run like normal. Lemi Shine® Washing Machine Cleaner gets into all the hidden crevices, components and hoses to remove pesky hard water buildup and other smelly gross gunk we’d rather not mention. Machine Wipes are specially formulated to remove and prevent smelly buildup from door gaskets and dispensing reservoirs. 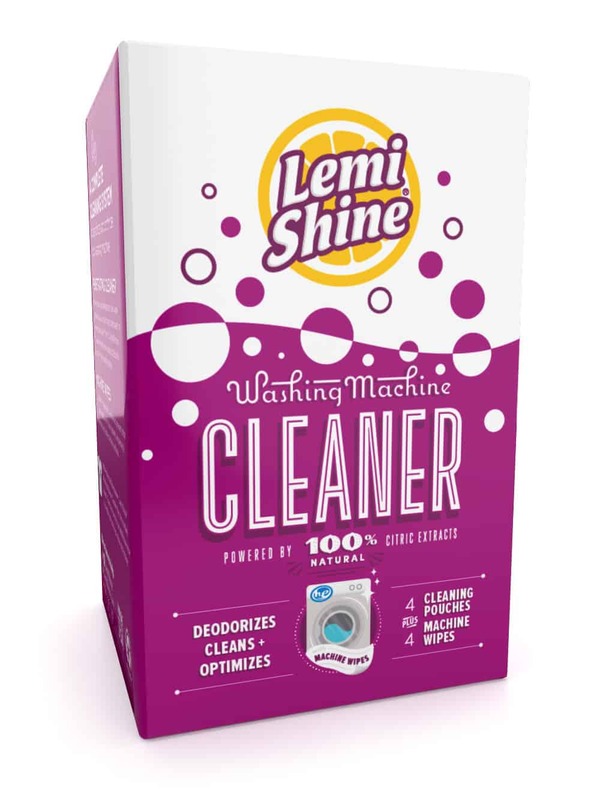 For best results, run Lemi Shine® Washing Machine Cleaner once a month to deodorize & restore its performance, leaving your machine smelling so fresh & so clean, clean. Keep the machine that cleans your dishes, clean! Sit back, relax, and let Lemi Shine® do the dirty work. Simply pour contents of pouch into the bottom of your empty dishwasher and run like normal. 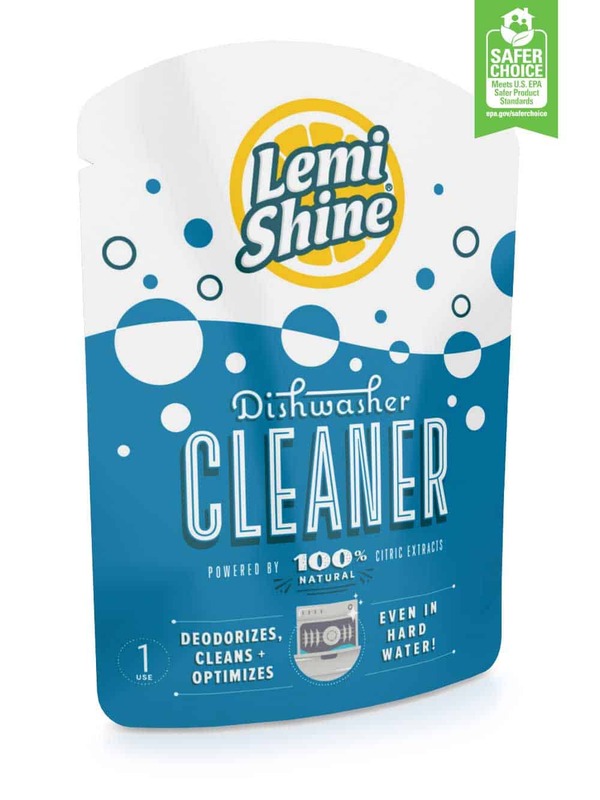 Lemi Shine® Dishwasher Cleaner gets into all the hidden crevices and mechanics of your dishwasher to remove pesky hard water buildup and other gross gunk we’d rather not mention. 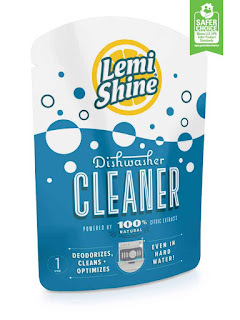 For best results, run Lemi Shine® Dishwasher Cleaner once a month to deodorize & restore it's performance. You'll be surprised by the results!